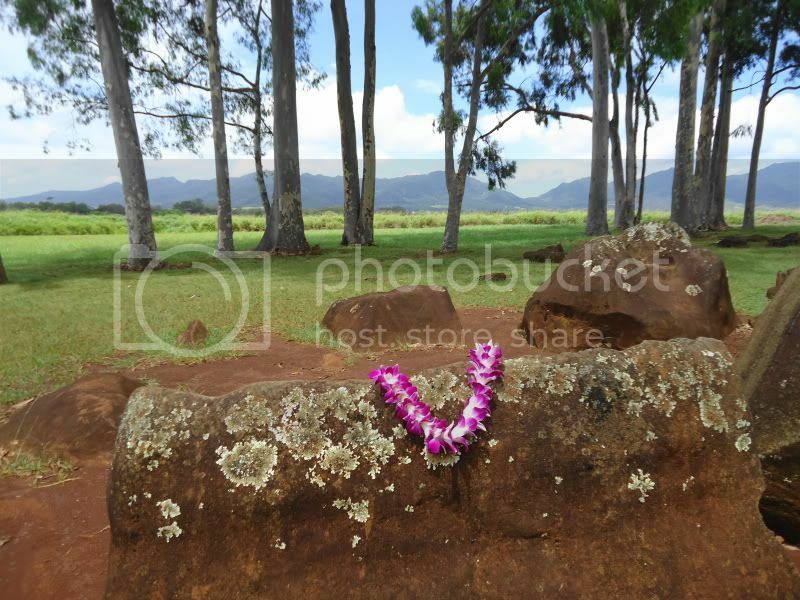 Located near the Dole Plantation in Wahiawa, Kukaniloko Birthing Stones is a sacred site of cultural significance in Hawaii. In 1925, Kukaniloko became the first ancient site on Oahu to be officially recognized and preserved. Parking and admission are both free. Kukaniloko is one of the most sacred places in Hawaii. The Ali'i (high chiefs) wanted their children born here for its spiritual power to ensure their children would achieve high ranking status. Only Ali'i were allowed to set foot upon this ground. Special markers were set out on the boundaries. As we walked down the path surrounded by the sugar cane field, I couldn't help but feel a strong sense of history in this place. I could immediately see why the kings thought this place was sacred- it was very a tranquil and peaceful environment. Thirty-six stones guard the entrance: 18 on the left, 18 on the right. These stones are NOT part of the originals, but were placed here by the Department of Land and Natural Resources. These stones represent the 36 chiefs who witnessed the birth. A total of 48 chiefs witnessed the birth and rituals. More than just stones. Watch the video above to get a true understanding of what this site was used for and how amazing it really is. The Hawaiian word Kukaniloko means: "To anchor the cry from within." It was believed that those who gave birth here would do so with ease and no pain. In order to achieve this, the mother needed to follow a strict diet and exercise regime recommended by the Kahuna. Many Hawaiian plants were ingested also to prepare the mother for a painless birth. 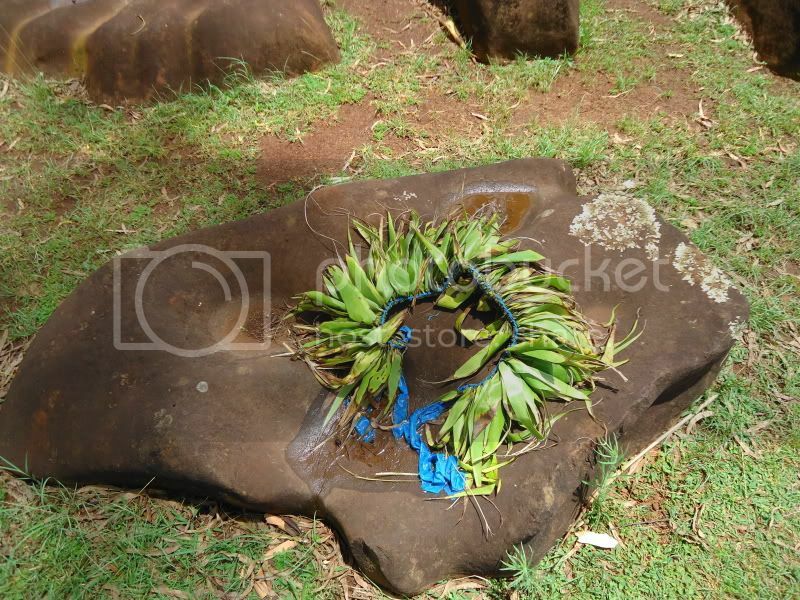 It is common for locals to leave a Ho`okupu (offering) on the birthing stones. For seven centuries, this outcrop of more than 80 rounded stones became the hallowed grounds for the birth of the Aili (chief) of Oahu. Some of the stones were also used to map stars and mark seasonal changes. The mother would be transported to the Kukaniloko birthing stone on a finely woven mat. She would not actually touch the rock; it was a gravity-type birth. The she would drink a sap mixed with water so the birthing process would be painless. There are indentations in the stone where the retainers would place their legs for leverage to hold the mother. Two more retainers stood at the foot of the rock. The mother would place her feet on their hipbones for support. Another Kahuna would stand behind the mother and she would push down on the retainers' shoulders. One last Kahuna would receive the baby. We recommend stopping by Kukaniloko Birthing Stones on your way to Dole Plantation or the North Shore. This is a peaceful site in the country and is a great place to take the family for break from the tourist traps. Take H1 West bound to H2. Take H2 north to exit 5 (Wahiwa). Take Kamehameha Hwy north through Wahiawa to Whitmore Avenue. Turn left onto Whitmore Avenue and the dirt road leads into a pineapple field. This is an unofficial parking area marked by a chain fence and a sign describing the site. The stones are located a few yards down this road. 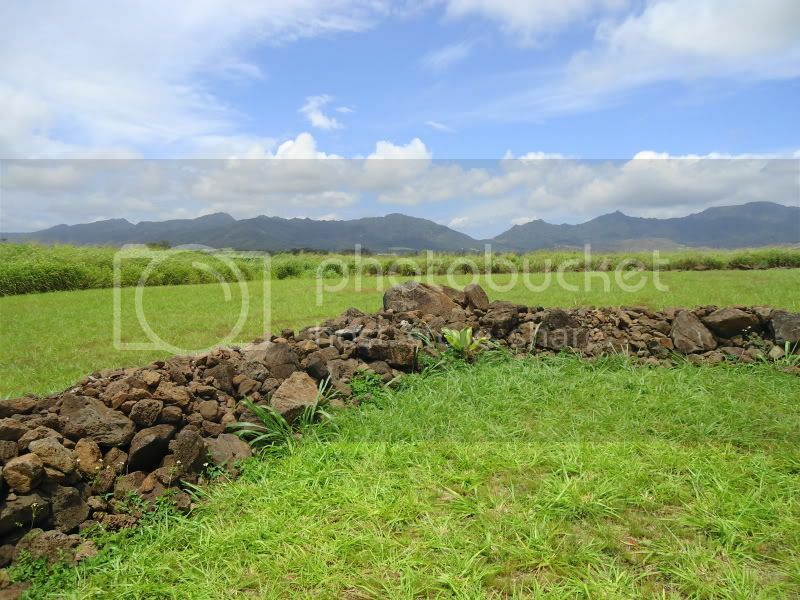 These sites are sacred to the Hawaiian people and should be treated with the utmost respect. Please do not move or remove anything from these sites and do not climb or walk on the rock walls and platforms.